Will be interesting to try this one! I got the double diamond tail and channel bottom but as for the rest ??? please interpret ??? I can't believe how much fun I had on the Stubby! A couple weeks ago I borrowed the demo 88 Stubby from the Zu. Obviously the design is pretty out there so I was pretty keen to check this out. It’s a fair bit shorter than my Quad, when I put it in the back of my ute my first thought was man this is going to be awesome for traveling with! I got a few waves at Possos, really offshore but super clean head high waves on my 4.2. Amazing! couldn’t believe how easy it was to wave ride, was seriously the best bottom turning board I’ve ever used. Really just was on auto pilot, doing tight bottom turns. The top turn was good too, being a thruster it took me a couple waves to get the top turns dialled in. I've never really spent much time on thrusters but I’m pretty impressed with this set up, there’s a good feel and nice line between being able to grip and still plenty loose to be able to kick the tail out when you want. The back foot strap is super far back (noticeably so when you go to put your feet in the straps!) with the rear strap being over the rear fin I think makes this thing work so well. The wind got a bit too flukey so we went around the corner to the BlackRock end of 13th beach. Wind was cross shore and pretty choppy messy half mast, went up to my 4.7. Again really impressed with how tight the Stubby turned in some average shaped waves. I really think this is the most fun board I’ve ever ridden. I can’t wait to get some more water time on it, and get to do some jumping and some bay sailing on it too. Will try and grab the demo again when we get some more wind. If any Vicco guys get the chance go and try this demo at the Zu or anywhere else someone has one around the country. 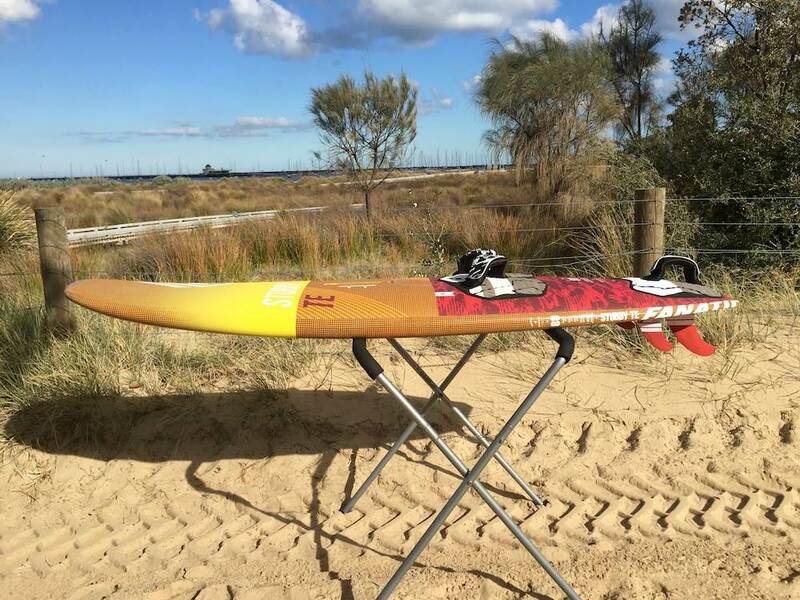 Very cool concept of a board you seriously have to try for yourself! Thanks Joel, I am really interested to hear how it handles a really windy choppy messy Port Phillip bay day. Will have to give it a demo myself me thinks. Yep I'm really keen to see how it goes in the bay, obviously a lot of my sailing is on ppb so it certainly needs to be good for both bay and wave sailing. I'm pretty confident it's going to be a sweet bay board, when I was at 13th it was really windy and short sharp bay chop out the back, and it was great. Didn't get to do much jumping but I think it should loop really well due to it's length! The 88 Stubby is currently on demo at The ZU, feel free to come and pick it up anytime. 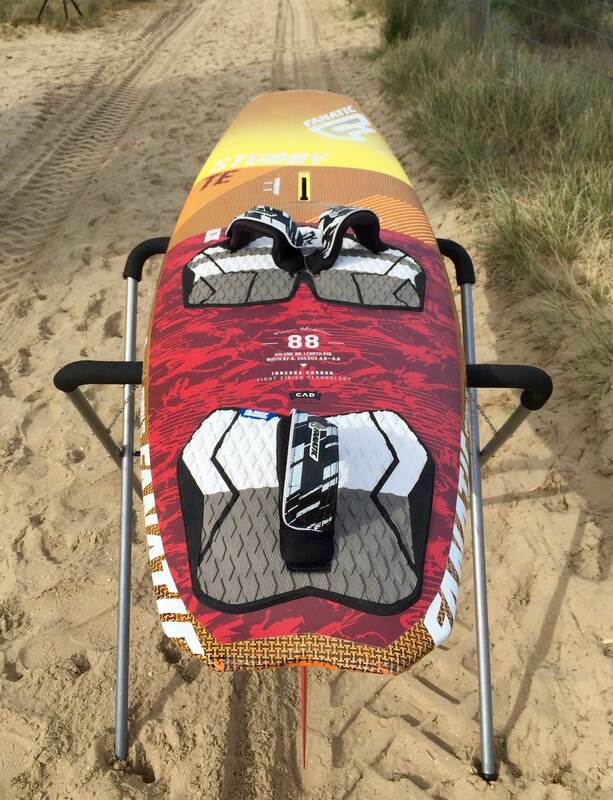 We are very excited about this board as the feedback and mag reviews have been super positive, furthermore it's always good to see most Fanatic International teamriders have one in their quiver and use them on a regular basis for comps and free sailing. We will get it on the water (incl in Port Phillip Bay) a few more times in the next couple of weeks and give you our detailed feedback. Even tho i work for FANATIC, in Australia, I've only just managed to get my feet on the STUBBY. Wind was less then perfect with a gusty 10-20, almost dead offshore in some spots. With 2-3ft waves. 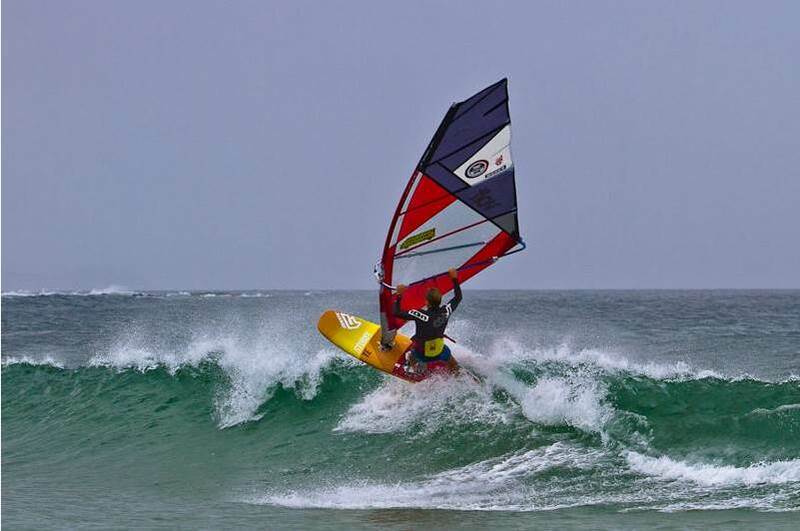 First run out, i thought it was a bad choice to even bother going for a sail, as i was doing a balance dance similar to that seen later on saturday night at the merimbula bowlo, but once i got my first wave, the mood changed. 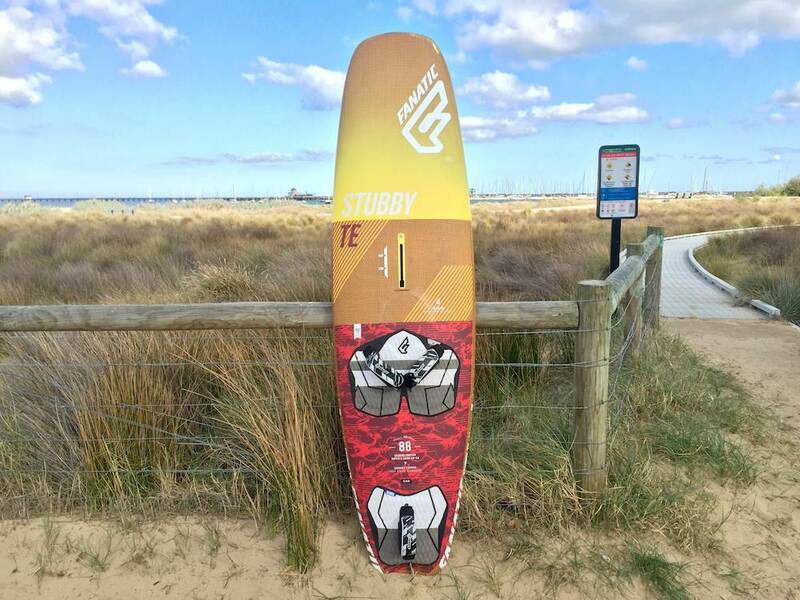 For its compact size, the STUBBY is one of the fastest planning and most stable boards i've ridden. And that's before you get on a wave. Once i was riding i felt like i was riding my shortboard rather then a waveboard. The turns are so tight, you can hit the lip so vertically and then it just flips around and gets ready for another hack. 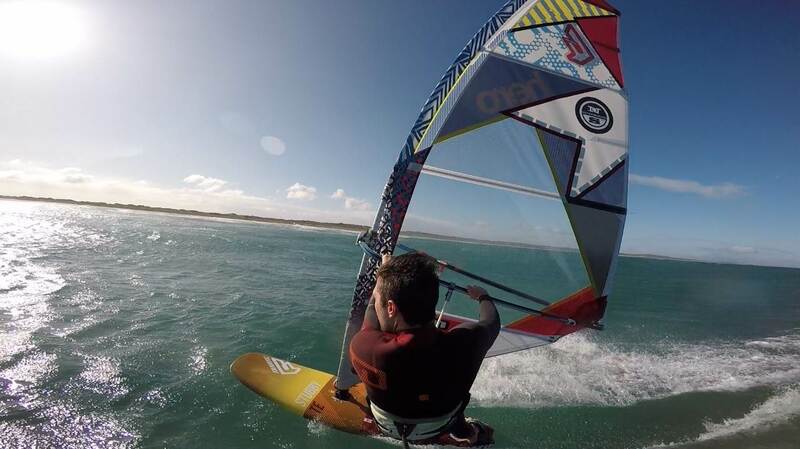 You hit top speed almost straight away giving you the freedom to do whatever you feel, clean cutback, top turn or even and orbit like aerial. Bare in mind the wind was, **** and that i haven't sailed for 6months. I can't wait to ride this powered and with a few sessions under my belt. It might be the normal dribble, "you must try this board". But this time i'm serious. I will be in Adelaide from next Wednesday 9th , to the following Monday 14th. And then in Melbourne the weekend of 18th-21st. If your keen for a demo, just msg me and we can organize the best place. Steve here from Melbourne! 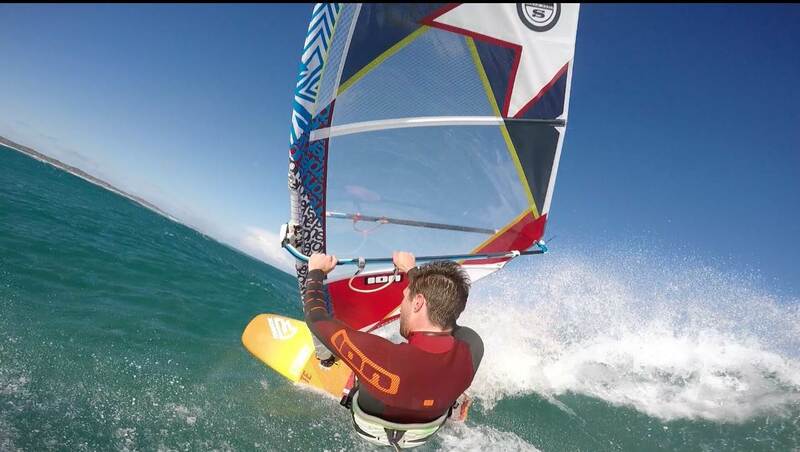 I was fortunate enough to try out the Stubby 88 in a Typical Northerly in the Bay! So Northerly conditions in Melbourne are generally fairly flat with just your stock standard chop!! So even though this isn't what the board is designed for it was still good to see what this board could do. 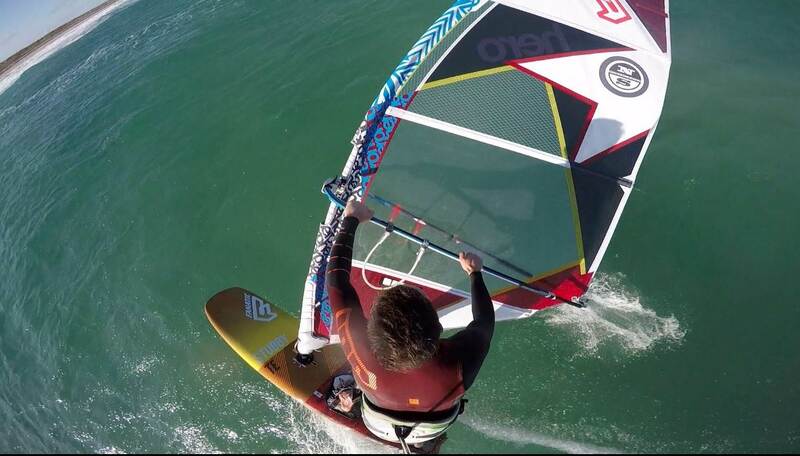 It was about 20 - 25kts and I was using a 4.8 FREEK, and I was comfortably powered up in the gusts at 76kg. We have to remember this this board IS a WAVE BOARD, so I wasn't expecting early planing or a high top speed, and too be honest I wasn't impressed at first... When you are comfortably planing along and not really 'driving' the board, it's speed and acceleration are what is expected of a normal wave board... fairly slow and average! However, when a gust hit and you 'lock it down' and 'drive it', IT GOES!! I was having some drag races with guys on the water, and in the gusts I was smoking them easy. This board LOVES being overpowered!!! Really comfortable at high speeds and just eats through the chop! I was concerned that having such a flat nose would see me nose diving, however since the planing zone has been moved so far back, (you are planing off the front foot strap) it wasn't a worry at all. Northerly's in Melbourne aren't know for their waves (more like steep chop), so it was fairly hard to test its jumping... but on the odd ramp I tried to 'send it'. Even though it was smallish, you can tell in the air how easy it is going to be to control. With it being so short you have so much control over it in the air!!! This is going to be a wicked jumping board!! Now... not all was butterfly's and rainbows! If you are thinking you can throw some freestyle on this board, forget it! There is almost no pop! However this isn't a freestyle board. 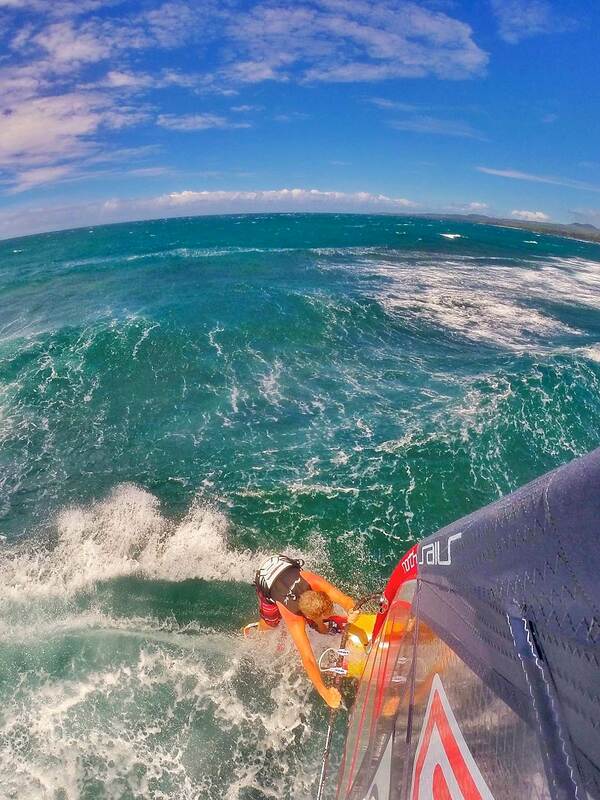 I have approached the PWA with a great idea for a new discipline "FLAT WATER WAVE-RIDING". This board would excel... I can only imagine how good it would be on wave! The bottom turns feel like its on rails, you can push it as hard as you want without losing speed, and the 'top turns' were super slashing, it almost felt as if the board was 'drifting' through the top turn! It's only a matter of time before I harden up and get this board out in the waves, and are able to give a review on what this board was designed for. 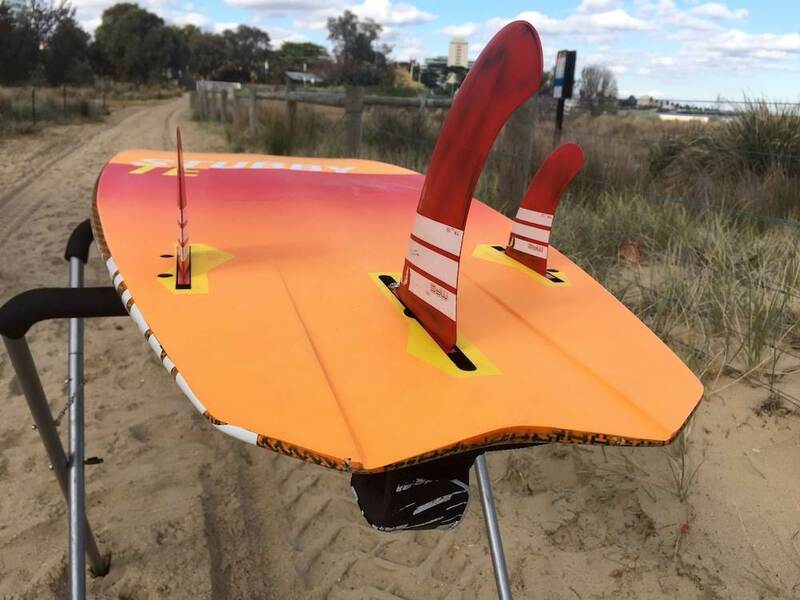 All in all, a really versatile board that isn't just designed to handle DTL wave conditions, but also the standard bump-and-jump conditions!!! 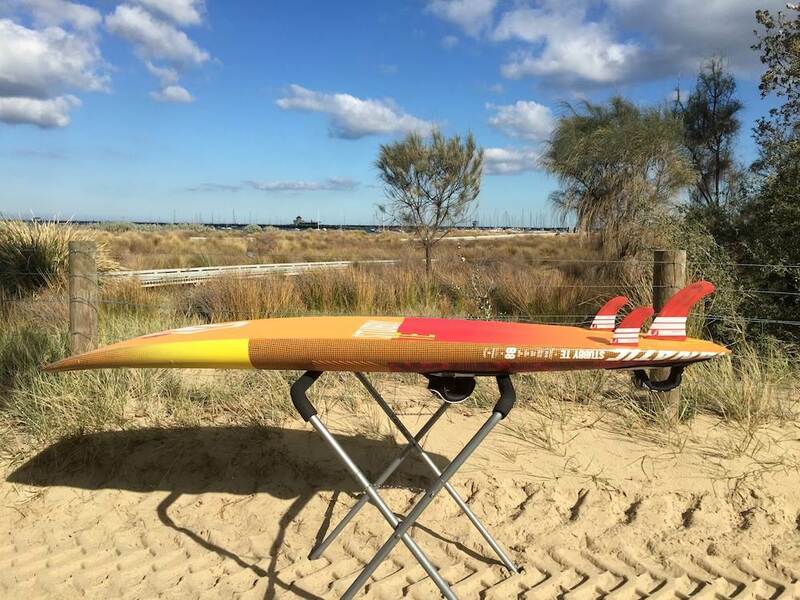 All you Victorian Heads drop on down to the ZU Boardsports in St.Kilda to give this board a demo!!! First sail on the 88 today. Wow, so good. Can wait to get it in some decent waves. Just got home after a week at Flatrock, for the Nationals and thought i'd add to the STUBBY story. I've started riding the 77L. (more because the demand for the 88 is so high that i need to share the love) and i was super surprised at how well, such a small volume board held my 5.3. Even with plenty of power, seen below, it works like a dream. Didn't show signs of bogging and didn't get that heavy "race sail" feel, that small boards often get when you over do the sail size. If your around, the 77 will be at Merimbula for demo.